A little while back I discovered a service that doesn’t cost anything and can sometimes be useful. Now my post office sends me a picture of what the letter carrier will be putting in my mailbox later that day. I don’t know how long the US Postal Service has offered this service, but I just discovered it and I like it. My snail-mail delivery is in the afternoon. Sometimes as early as 2:30 pm, sometimes as late as 5:30 pm. I don’t know why there is such a difference in time each day, but that’s how it happens. If someone has mailed me something (such as an eBay purchase) and it’s taking longer than expected to show up, the sender might call or email me in the morning or mid-day to see if it has arrived yet. If the mail has not yet been delivered for that day, I wouldn’t know yet if the product would be coming that day or not. I have some clients that still pay me by writing a check and putting it in the mail. I usually get a few of these in the mail each week, so I try to “group” them in a single deposit in order to just make one trip to the bank instead of several trips. Problem is, even though I want to go to the bank AFTER I see if any checks show up in today’s mail, my bank closes most days at 5 pm. So if the mail is delivered later, or this is a day that no checks were in the mail delivery, I waited for nothing. If I’m away from home for a few days and something important gets delivered, I might prefer to have a friend or neighbor go and pick it up rather than have it sit there in the mailbox until I get back home. Not to mention, I just like knowing what’s coming in the mail later today! With this service, all of that is taken care of. 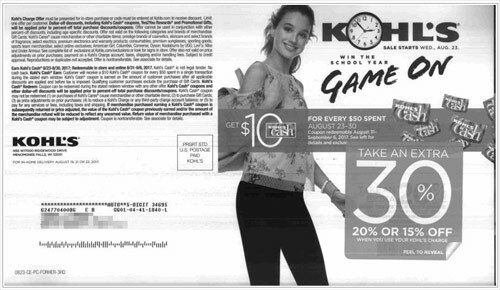 As you can see, this isn’t just an email “telling” me what mail is supposed to be delivered today – it actually shows me pictures of the mail pieces. 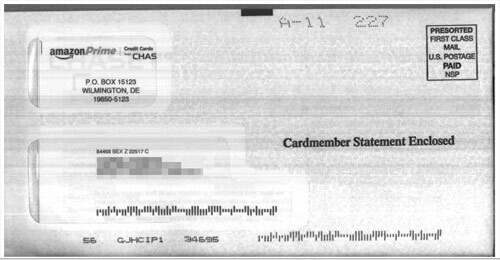 I had no idea that the US Postal Service actually created a scanned image of each piece of mail. But since they’re already doing that, might as well take advantage of it and have them notify you what to expect in your mailbox. NOTE: this is only for letter-size mail pieces. Packages, magazines, etc. are not included in the notification. To set this up for your address, go here: https://informeddelivery.usps.com/box/pages/intro/start.action. It’s completely free for US residents. And I’m curious – have you heard of this service before? Or was this the first time you were made aware of it? Leave a comment below. Love this idea–thank you Scott! I’ve been using this for a while now. It’s great but not always accurate. I attribute that to the delivery person being lazy. I heard about this a couple of months ago, but I forgot to sign up for it at that time so I was happy to have this reminder. I’m signed up now. Thanks, Scott! Get to the bank before it closes to deposit checks? That’s nuts. Doesn’t your bank have a 24/7 ATM location where you can deposit checks? Mine does, and if I don’t want to even go to the ATM, I can take a picture of the check(S) and e-mail that PICTURE OF THE CHECK(S) to the bank and – BAM – those checks are deposited to my account and neither the checks or me have to physically leave the house! 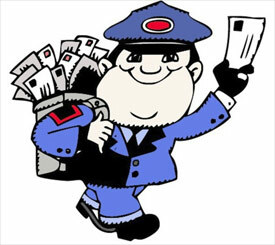 THANK YOU for today’s article about the USPS. I use a P.O. Box and pick up my mail only every 3 or 4 days or so. And I found that they treat P.O.’s just like street addresses so this will be just GREAT! I just signed up. My personal bank is Bank of America and they do offer the deposit via their app which takes pictures of the checks. But my business bank does not offer that (not yet anyway). Had not heard of this before. Will sign up! Well Scott, you’re business account is located at the WRONG bank – it’s behind the times. And we (you) are all about computers and stuff, right? Get with it!